With cozy sheepskins, warm blankets and toasty heaters, our lovely outdoor terrace, overlooking the market square, makes for a wonderfully warm winter spot. Enjoy tea, coffees and hot chocolate in the day and something to warm the cockles in the evening, with lots of wines, gins and whiskeys to try. You could even mix the 2 and try one of our tasty rum hot chocolates, snuggled in a blanket under our state of the art outdoor heaters. All this, nestled in a leafy square in the centre of Lytham. Copyright © 2016. 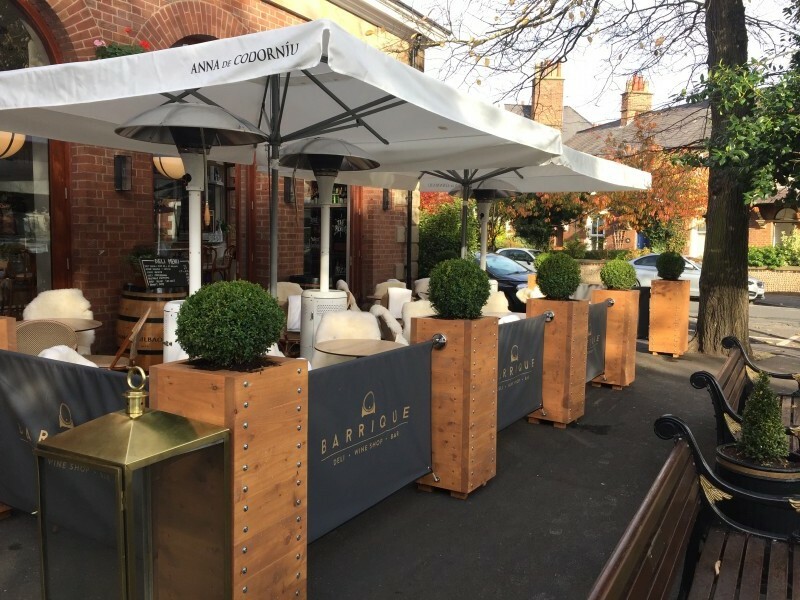 Barrique Lytham All Rights Reserved.